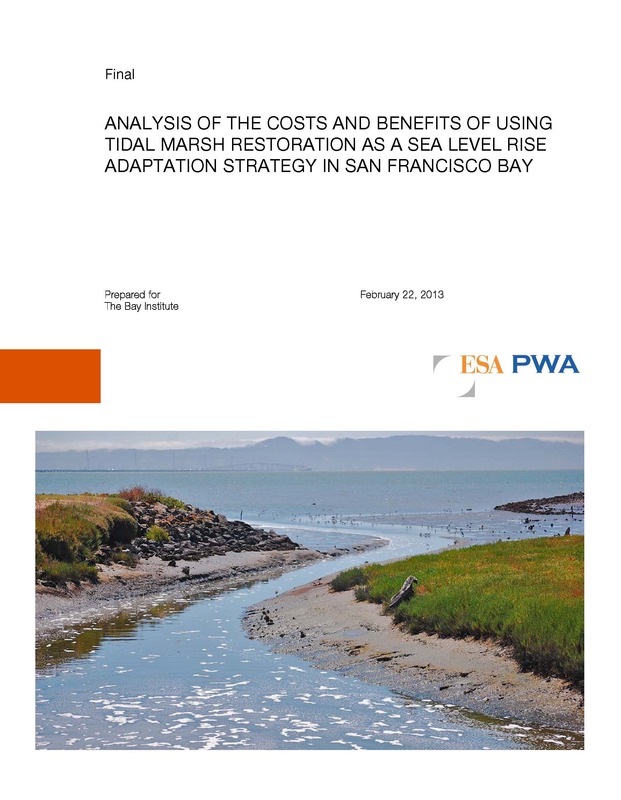 "Over the last 150 years, approximately 90% of the tidal marshes that fringed San Francisco Bay have been destroyed as a result of progressive diking and filling for agricultural, salt pond, and commercial development. Within the last three decades, however, there has been a dramatic change in public attitudes towards wetlands. They are now valued as uniquely productive natural resources and public policy now seeks not only to protect existing marshes, but also to restore former marshes as functioning wetland ecosystems." 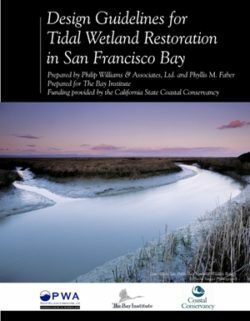 Design Guidelines for Tidal Wetland Restoration in San Francisco Bay was created for use by restoration scientists and management agencies through a partnership of The Bay Institute, Philip Williams & Associates, Ltd., Phyllis M. Faber, and the California State Coastal Conservancy, which funded the development of the document. The handbook presents an analysis of data collected over 15 years at several tidal wetland restoration sites and one natural site in order to help optimize the design of new restoration projects. The purpose of this Supplement is to encourage the inclusion of proactive wetland management into watershed plans because wetlands play an integral role in the healthy functioning of the watershed. This Supplement promotes using a watershed approach that not only protects existing freshwater wetlands but also maximizes opportunities to use restored, enhanced, and created freshwater wetlands to address watershed problems such as habitat loss, hydrological alteration, and water quality impairments. The primary audiences for the Supplement are members and staff of watershed organizations and local/state agencies. 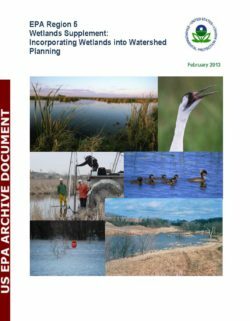 This document is a Supplement to the U.S. Environmental Protection Agency’s (EPA) Watershed Planning Handbook. It conveys information on recently developed approaches and tools for assessing wetland functions and conditions, the results of which assist decision makers in determining where in a watershed existing and former wetlands can best be restored or enhanced, or where wetlands can be created to optimize their functions in support of water quality and other watershed management plan goals. The Supplement also discusses wetland restoration, enhancement, and creation techniques and reviews the considerations involved in deciding how best to undertake a wetlands project. EPA’s Watershed Planning Handbook and other scientific resources emphasize the importance of the watershed as a management unit in which elements and processes operate over different spatial and temporal scales. The literature also emphasizes the importance of planning and implementing projects aimed at protecting or restoring water quality (or meeting similar goals) within the context of the watershed.